Not to eat any of these foods on your lap in front of the TV: Pizza, Spaghetti Bolognese, Thai Curry – red and green Indian takeaway, and Kebab with chili sauce. Instead, please record the programme and eat in the kitchen to watch later, using catch-up. Not to give the kids red coloured juice drinks in any cup without a lid. Instead please buy some plastic sports drinks bottles and give it to them in that, in all rooms with carpets. Not to vacuum me using the wood floor setting on the vacuum cleaner. Instead please make sure that the brush is engaged, which will beat all the small particles up into the hose, instead of just whisking over without the brush, which only picks up the surface dirt. The carpet will look dirty again when walked on, as the lower particles work up to the surface. Not to walk on me with outdoor shoes, especially trainers or sports shoes, as dirt, mold spores, allergens and bacteria gets forced into my pile and causes sneezing, wheezing, asthma attacks and possible MRSA in babies and older people. Instead please keep a box with indoor slippers by the front door. 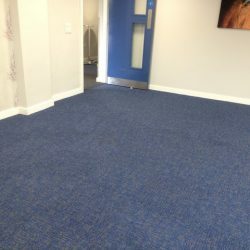 Not to forget to book a professional Texatherm carpet clean once a year, to stop dirt from getting ground in and causing a permanent colour change to my lovely colours and enforced aging. Instead I can look this good all year and it will double my lifetime, making me look young and fresh every year. We are sure that every carpet will be hoping for all this in January, and all the years to come!